Increase Your Site's Exposure With SEO! Get More Customers With Our Local SEO Service! 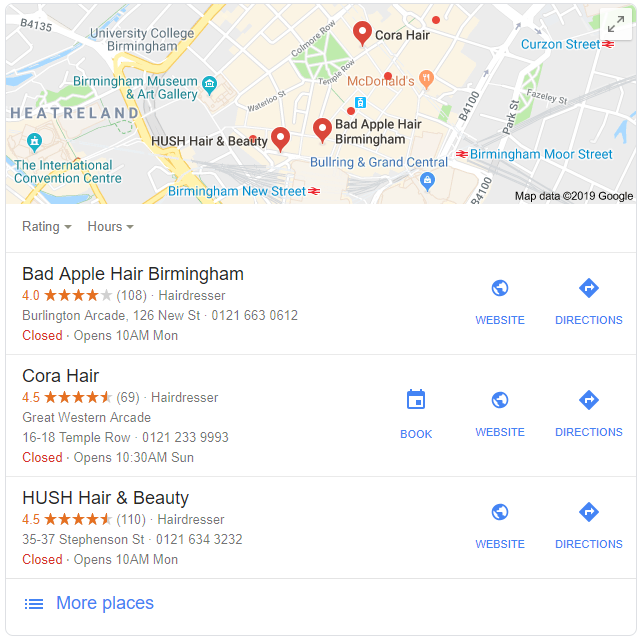 Why Should You Do Local SEO for Your Website? Being found on local search engines (Google, Bing, Yahoo and other local directories) is a must if you need customers and clients. It is not an option. Think of it as your yellow pages of the past and you'll see that if you are not on it, no one will know you exist. Just see the stats below and judge for yourself. 63% of all Google searches return a local result. Your site must appear when these searches are made. Local searches are based on intent and 82% of people searching locally take action immediately after the search. When people go to Google and search for say, emergency dentist, they usually have an emergency and are ready to take action i.e. go to the dentist they found during their search. This is when your site needs to be seen. 90% of smartphone users took action after performing a local search. Is your website optimised for smartphone and mobile. Getting found on these devices is a must as most people now search using a smartphone or mobile. Local SEO increases exposure, brand awareness and credibility. If people cannot find you when they search online, on smartphone or on their mobile for your services, then you almost don't exist. But your competitors can be found. In the eye of the client, your credibility is damaged as they consider you inferior to your competitor. What do you get with our Local SEO services? Reviews management. We will manage your business reviews on review sites, Google My Business and local directories. Detailed monthly report. You'll get detailed monthly report of how your site is doing and the results you are getting. THE DISCOVERY STAGE. We will perform a complete audit of your website including competitor research, keyword analysis, link popularity, inter-linking pattern, meta tags and more. THE ANALYSIS STAGE. We will outline the modifications needed for your website’s structure and also the changes required to be made to get your site ranked fast. THE IMPLEMENTATION STAGE. We will arrange a face to face, telephone or Skype meeting with you to discuss our strategy and introduce you to your Account Manager. This is the stage where we start your campaign. THE MANAGEMENT & REPORTING STAGE. We will continue to maintain your campaign and provide you with monthly reports on progress made on your monthly Plan of Action. Your Account Manager will be at your beck and call.